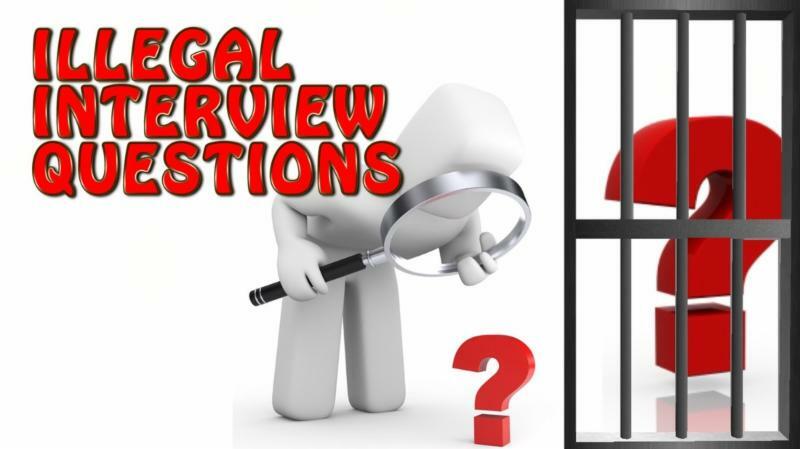 My goal is to always help you protect your organization, therefore below is a refresher course/tips regarding illegal interview questions. Please share with your team. Note: This is a delicate area. Although there is no federal law that clearly prohibits an employer from asking about arrest and conviction records, using such records as an absolute measure to prevent an individual from being hired could limit the employment opportunities of some protected groups and thus cannot be used in this way. A number of state laws also limit the use of arrest and conviction records by prospective employers. These range from laws and rules prohibiting the employer from asking the applicant any questions about arrest records to those restricting the employer's use of conviction data in making an employment decision. In some states, while there is no restriction placed on the employer, there are protections provided to the applicant with regard to what information they are required to report. How long has your family been in the U.S.? That’s an unusual name - what does it mean?